Proven long-term stability. Ultra-pure performance for high temperature applications. 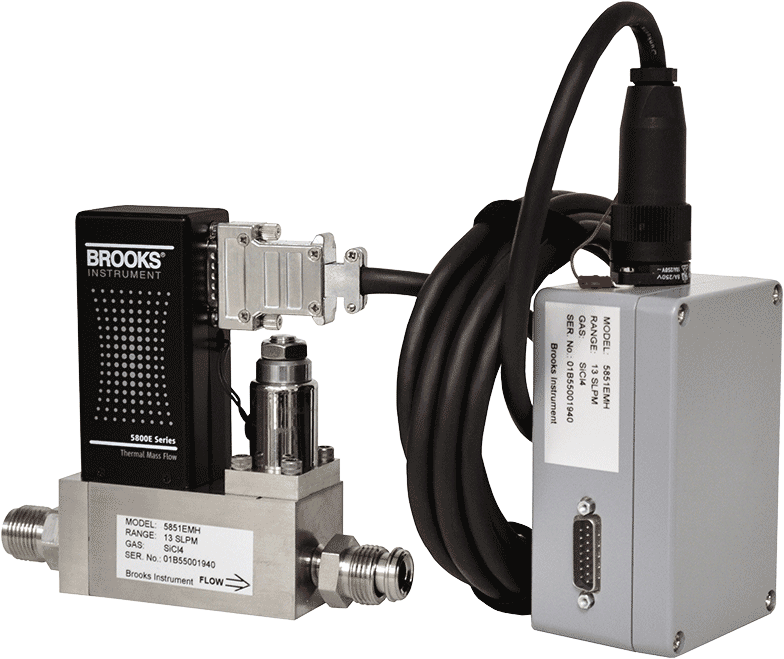 Offering state of the art performance in high temperature gas measurement and control, the 5850EMH Series high temperature metal sealed mass flow controller from Brooks Instrument combines the outstanding leak integrity of metal seals with a variety of options allowing maximum application flexibility. 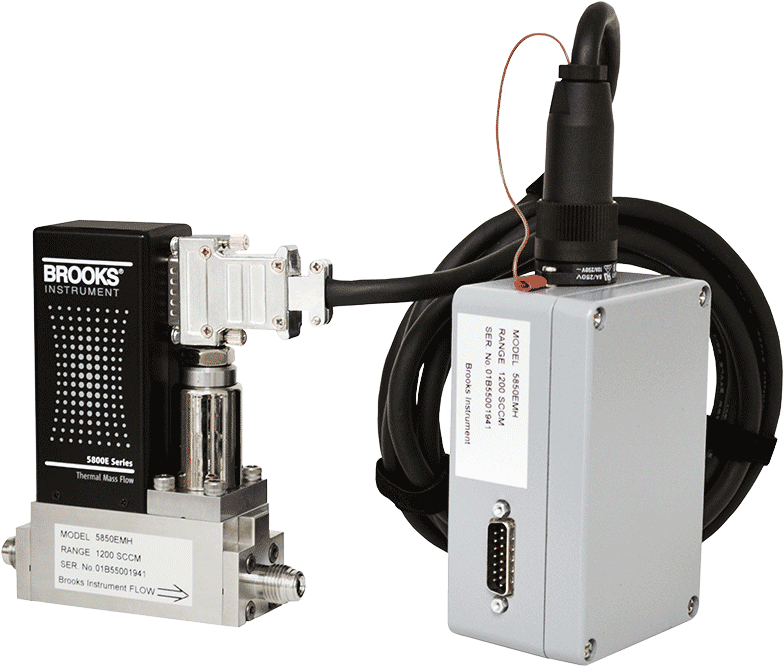 The heart of the 5850EMH Series is the highly stable sensor which provides an electrical output signal linear with flow rate. This signal is used for indicating, recording and/or control purposes without the need for an auto-zero circuit.